The Interdependency, humanity’s interstellar empire, is on the verge of collapse. The Flow, the extra-dimensional conduit that makes travel between the stars possible, is disappearing, leaving entire star systems stranded. When it goes, human civilization may go with it—unless desperate measures can be taken. Emperox Grayland II, the leader of the Interdependency, is ready to take those measures to help ensure the survival of billions. But nothing is ever that easy. Arrayed before her are those who believe the collapse of the Flow is a myth—or at the very least, an opportunity that can allow them to ascend to power. This is an interesting series for a variety of reasons. Dystopian sci fi where corporate greed is rampant and unchecked is a familiar trope in epic science fiction – but the Interdependency was stitched together to try and smooth out the destructive cycles of boom and bust that afflict a capitalist system. Now the Flow, a sort of super-highway of extra-dimensionality that allows far-flung star systems to trade with each other, is beginning to fail, the scrabble for power is intensifying. The corporate wheeler-dealers are magnificently cynical and greedy and everyone has plenty of snark, with the exception of Grayland II, who seems genuinely sweet. Like many epic science fiction stories, Scalzi has passages of semi-omniscience where he tells the reader what is going on, rather than depicting the whole situation from the viewpoint of one of his cast of characters. 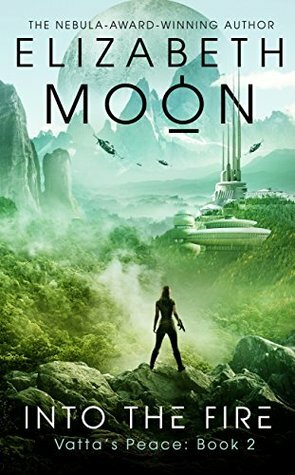 This keeps the pace going and allows the reader to know some of the finer points that Scalzi thinks is important – and he makes this info-dumps enjoyable by the dry tongue-in-cheek tone he adopts. His characters are vivid, with some almost parodies in their desperation for more power, more leverage, more anything-they-can-get. I am intrigued by others, like Kiva, who I haven’t yet worked out is on the side of the angels, or simply out for what she can get. But be warned, she swears up a storm so if extensive use of the f-word offends you, then this is one to avoid. 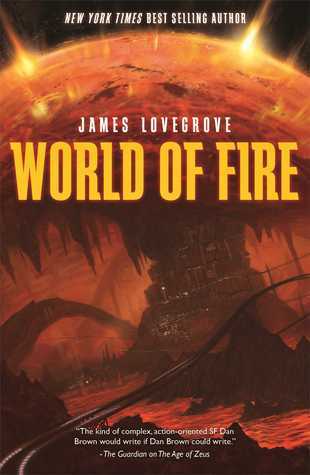 Epic sci fi isn’t my favourite sub-genre – too much telling me what I should think… too much earnestness from the protagonists… too many powerful, entitled male characters… And I’m loving the fact that Scalzi has upended every single one of those peeves. His politically dynamic and feisty female characters are a pleasant change. 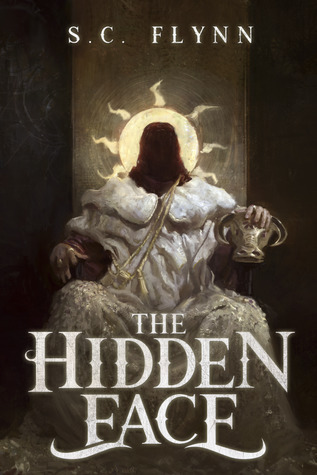 His snarky tone and trick of understating the terrible consequences if the Interdependency fractures at the same time the Flow fails gives this book an almost urban fantasy feel. Will I be getting the next book? Oh yes. I read Rosemary and Rue far too long ago and when ill I came across this one on my Kindle and immediately dived into it, recalling the quality of the writing in the first book. October “Toby” Daye is a changeling, the daughter of Amandine of the fae and a mortal man. Like her mother, she is gifted in blood magic, able to read what has happened to a person through a mere taste of blood. Toby is the only changeling who has earned a knighthood, and she re-earns that position every day, undertaking assignments for her liege, Sylvester, the Duke of the Shadowed Hills. Now Sylvester has asked her to go to the County of Tamed Lightning—otherwise known as Fremont, CA—to make sure that all is well with his niece, Countess January O’Leary, whom he has not been able to contact. It seems like a simple enough assignment—but when dealing with the realm of Faerie nothing is ever as simple as it seems. Toby soon discovers that someone has begun murdering people close to January, whose domain is a buffer between Sylvester’s realm and a scheming rival duchy. If Toby can’t find the killer soon, she may well become the next victim. I loved this extra insight into McGuire’s haunting, dangerous world of fae where creatures who live for a very long time are slowly failing against humanity. As for the variety of types – think of the TV show Grimm. The standout characters are brilliant, abstracted January, who is responsible for keeping her people safe and running a successful company; Alex with the red eyes, who Toby finds she enjoys being around far too much. And poor little April – a young tree dryad who escapes the slaughter of her community when the oak grove where she lives is bulldozed flat to make way for a housing estate and is found wandering alone and traumatised by Jan. She is rescued and, before she fades away, is digitised to wander around the server as a shy, ever-present entity who occasionally runs errands for the staff and spends much of her time with Jan, who she regards as her mother. Often in this type of murder mystery, the victims are the props – no one likes or cares much about them and they are there to provide clues and possible red herrings as the investigator and reader tries to puzzle out who is doing the killing. While I didn’t particularly care about some of the characters who died, there was a real sense of loss conveyed in the story. Each one was mourned by those around them, which had the effect of both upping the stakes and creating a sense of menace as Toby tries to discover what is going on. I guessed part of the puzzle before we got to the denouement, but that didn’t really matter, as this case was as much about the ‘why’ as the ‘how’. And the answer is something of a heartbreak. Perhaps it was because I was feeling ill, but the ending left me with a lump in my throat as McGuire’s depiction of the final funeral drew to a close. This one really packs a punch and I now need to get hold of the next book, An Artificial Night, before too much time goes by. 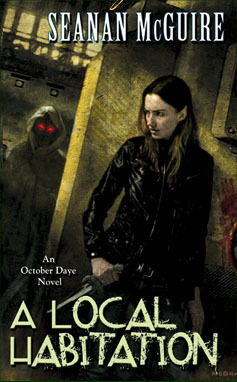 I’m a real fan of Sullivan’s writing – see my reviews of Occupy Me, Lightborn and Sound Mind. She is a highly talented writer with a penchant for pushing the envelope with her fiction in a way that I love. So I was delighted to see this offering on Netgalley. As you can see, this is set in the very near future where virtual reality is being taken into some disturbing areas… I happen to know someone who suffers from narcolepsy – where the sufferer will fall fast asleep anywhere at any time, particularly when stressed. It doesn’t take much imagination to realise that this sleep disorder drives a tank through any attempt to lead a normal life. Charlie’s ability to hack dreams starts after her drugs trial with BigSky, when she also starts to suffer from narcolepsy, lose her job and a lot of her hair through stress. Unfortunately, due to the small print on the contract she signed when she took part in the trial, she has no recourse to any form of compensation. So she also ends up homeless. However, she is lucky to have a loyal friend in Shandy and find herself living as a companion to a cranky old lady in a wheelchair, known as O, by cooking and cleaning her pigeons for her. O is also very supportive of her new job as a dreamhacker. I very much enjoyed Charlie’s character. She could so easily have moaned her way through the novel and although she is often depressed and undermined by her misfortunes, she is also feisty, with a nice line in sardonic humour. I also liked her impulsiveness and occasional lapse of judgement – it can be rather wearing to read of a protagonist who invariably takes the sensible option. As for the crime aspect – it was really creepy to experience the way the Creeper infiltrated Charlie’s dreams and as I hadn’t read the rather chatty blurb, which I’ve tweaked, I hadn’t realised there was a suspicious death. Unravelling the murder mystery was enjoyable with plenty of suspects and though I guessed part of it, I didn’t appreciate the final part of the puzzle. This was a thoroughly enjoyable, engrossing read and recommended for fans of near future whodunits. 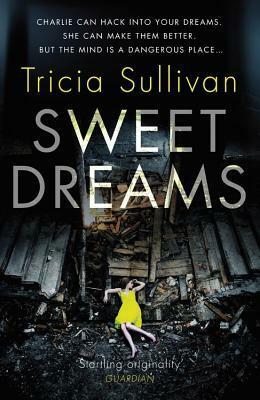 While I obtained the arc of Sweet Dreams from the publisher via NetGalley, this has in no way influenced my unbiased review.